General Daily Predictions: Today the Moon enters Aries giving us all the energy we need to stand our ground. This is a fiery moon which gives us self-confidence but can also raise our anxiety and make us prone to accidents. Hence we need to direct this energy creatively. Moreover, today the Sun from Cancer will trine Jupiter from Scorpio making this day great for all kinds of opportunities and growth. In general this is going to be a promising day full of chances to move forward and surpass our limitations. Although we do need to be careful how we express ourselves as Retrograde Mars from Aquarius opposes Mercury in Leo. Misunderstanding are part of today’s deal. Cancer, Scorpio, Pisces are the ones who are considered the luckiest today. The stars also favor Taurus, Virgo, Capricorn, Leo and Sagittarius. Libra should be more careful today. It feels like you’ve been hit by a tidal wave of energy today. Everything seems to need your touch in order to work. Hence all eyes are on you. Although you do like all this attention you still need to be careful as misunderstandings might occur, driving you and others nuts. Here, the Spirits give you another piece of advice for Today. This is a good day for you, especially when it comes to your emotional world and your psyche. Today the stars have scheduled a full healing session, starting from deep inside your heart. Moreover, you are likely to have a very interesting spiritual experience today, due to the aspects of the Moon, the Sun and Jupiter. Pay attention to all omens today! More spiritual advice for you today here along a your lucky number. Thank god today is going to be much more fun than the previous days. At least you are going to have more interesting conversations while you may also meet new interesting people and exchange valuable ideas which may inspire you a lot. Social interactions are favored. Check here what the spirits are advising you to do Today. With the Sun in your sign forming a Trine with Jupiter, this is a very promising day for you. This powerful aspect sets so many karmic events in motion. Are you looking for a (better) job? Or maybe are you waiting for a chance to fulfill your dreams? This aspect will help you get closer to your goals – or even reach them! Regardless what happened the past days this is going to be a better day for you. Today the stars are promising a better life for you. A life full of interesting interactions and exchange of wisdom. Traveling abroad or communicating and collaborating with foreigners is favored along with any actions regarding education and religion. Listen to the spirits. 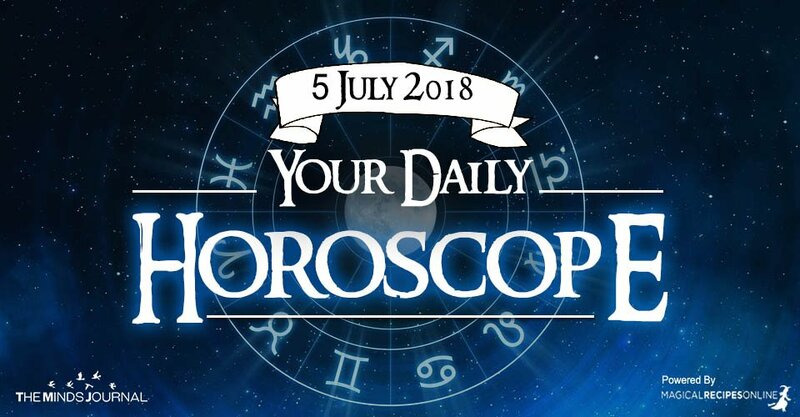 Click here to see what they can tell you today. Something, inside your heart feels awakened. For the next days you are going to feel much different as your libido will get you out of your norms. This is also a Karmic change. Therefore, karmic interactions might also occur today – meeting people from the Past who will play a significant role in your life. Furthermore, you can check out what the Spirits advice you to focus on today.